Maybe you may not be a nature lover, then when you are on vacation is beach and sun much more important. 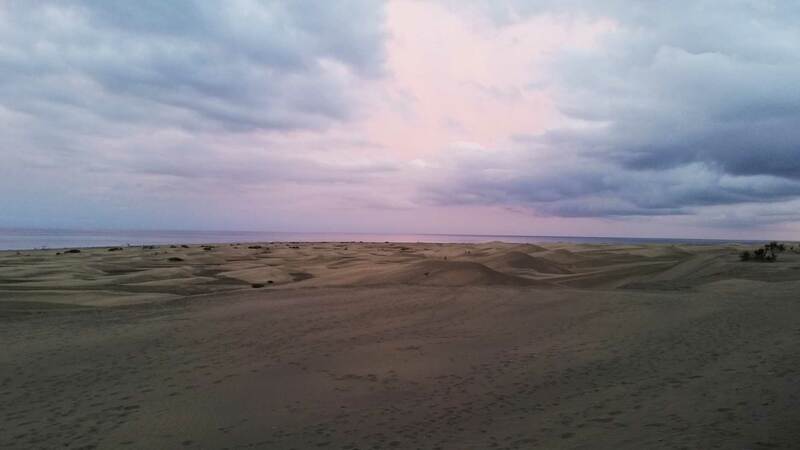 Yet I am convinced that a walk through the dunes and nature reserve La Charca you will not leave indifferent. 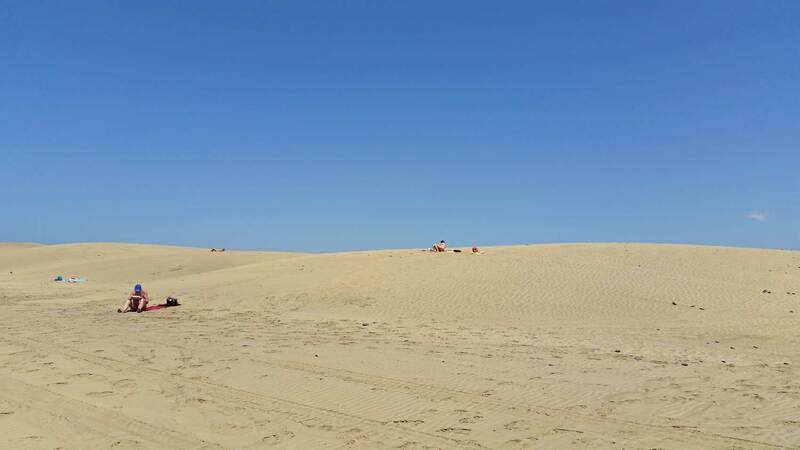 When we dunes and la charca discovered for the first time, we knew immediately that this was something special. 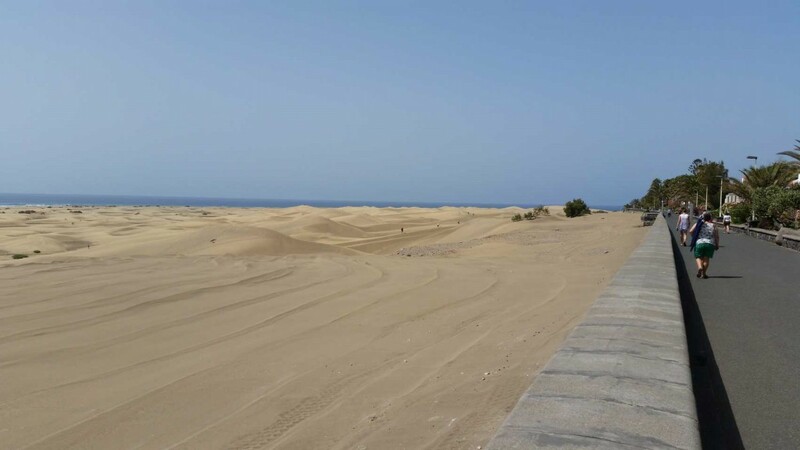 The dunes of Maspalomas are without doubt the biggest attraction by the thousands of tourists who come each year to Gran Canaria. It is a protected area of 5 square kilometers, and it is needed because of the climate change, but also the tourism affect this beautiful natural phenomenon drastically. According to scriptures of the dunes should the dunes not originated but have acquired their present form by a tsunami that took place in 1755 after an earthquake. Because of the ever-present north-east wind have grains of sand over the years compacted. 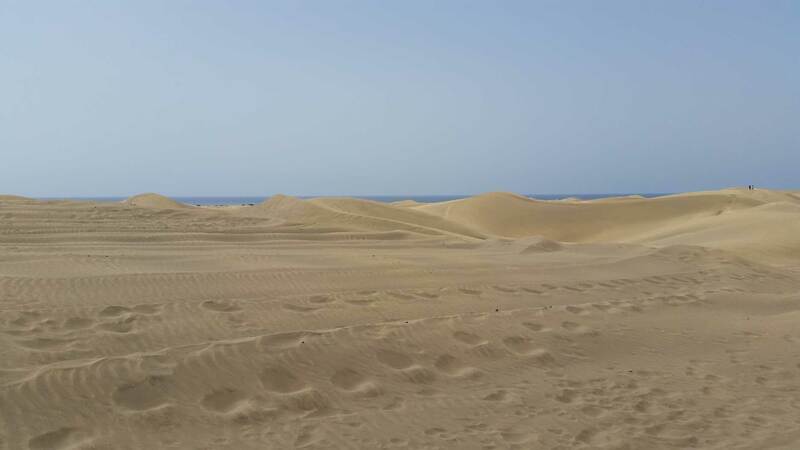 With the coming of Playa del Ingles is the tourism increased in Gran Canaria, but is also the dune landscape partly protected. However this also has the drawback that there is hardly yet new sand get argued naturally to maintain the sand hills. Today, the dunes are more southerly than 40 years ago, when stretched the sand dunes are much further north off. The golden sand is composed of pulverized chalk and shells complemented with volcanic sand. Despite the considering sand there is still to be seen vegetation. If you are a first time see the dunes, then you think immediately of the Sahara through the beautiful sand dunes. 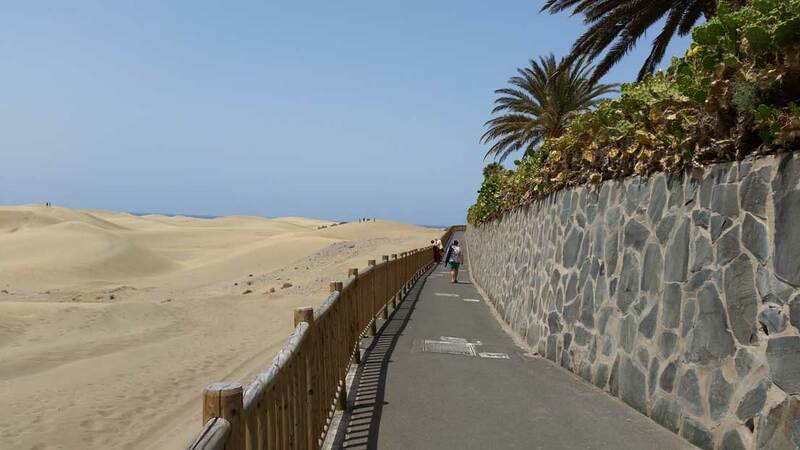 The view of the dunes is different every day, in the vernacular are therefore called “mobile dunes.” If you look at the dunes from the Paseo Costa Canario, the beach promenade then you think now I take a shorter route to the beach. I tried once at noon, and that was the last time I tried it. Appearances are deceptive, it seems like an eternity once you’ve started the tour before you finally see the refreshing ocean turn up on the blue horizon. 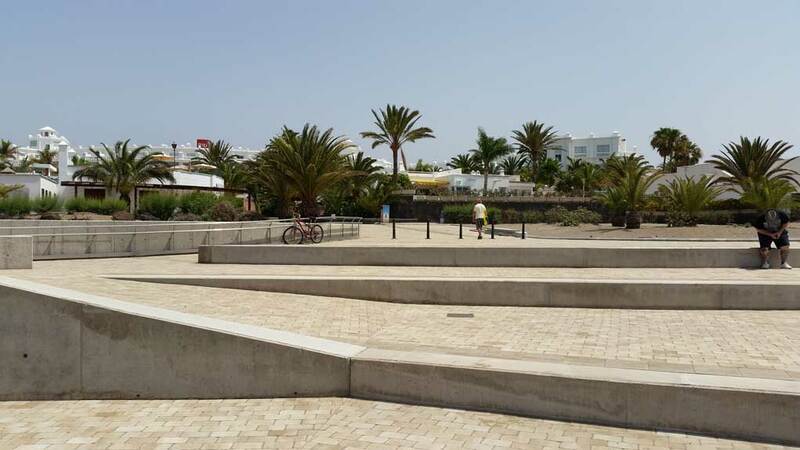 If you decide to book your holiday in Gran Canaria, please have consideration the value of the natural beauty. A walk in this beautiful dunes is definitely recommended. Note that it is very tiring but the views are worth it. We recommend you bring enough water to prevent dehydration, and do it not barefoot. Do not forget your camera or video camera, and so you can have beautiful memories of this unique dunes. 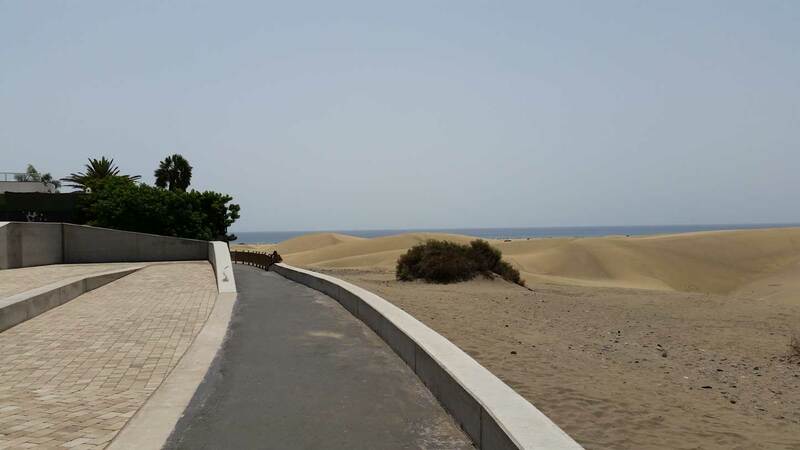 The dunes are located between Maspalomas and Playa del Ingles. 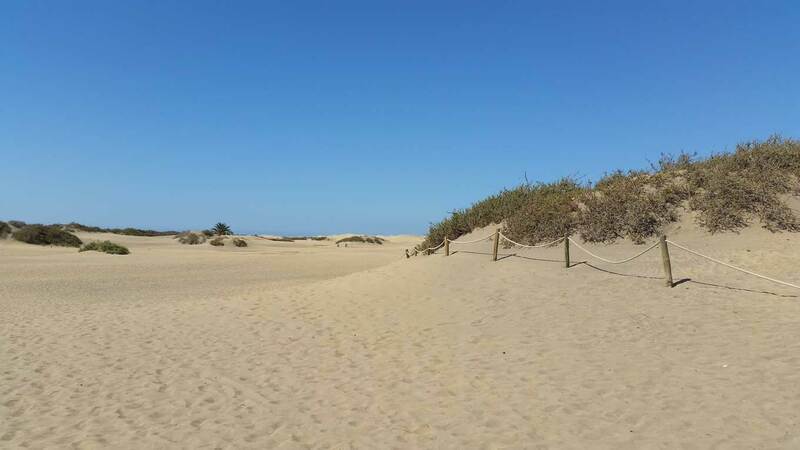 The dunes of Maspalomas end up of a unique national reserve named La Charca. La Charca, migratory birds use it as a breeding ground La Charca is a brackish water zone between sea and dunes where migratory birds rest on their journey from Europe to Africa. 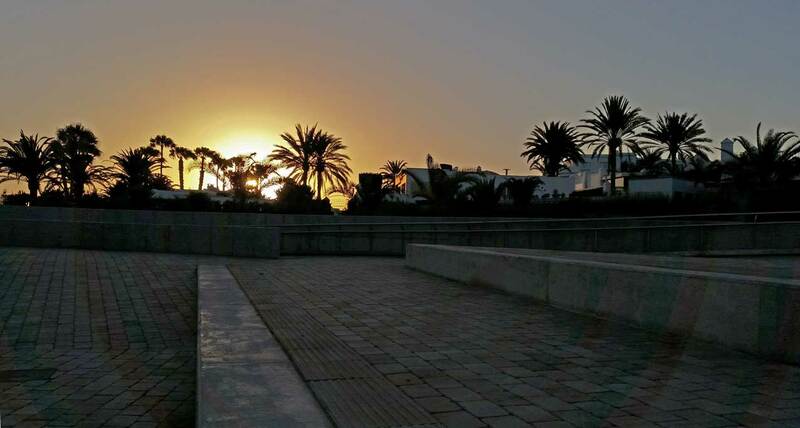 Maspalomas has three ecosystems. 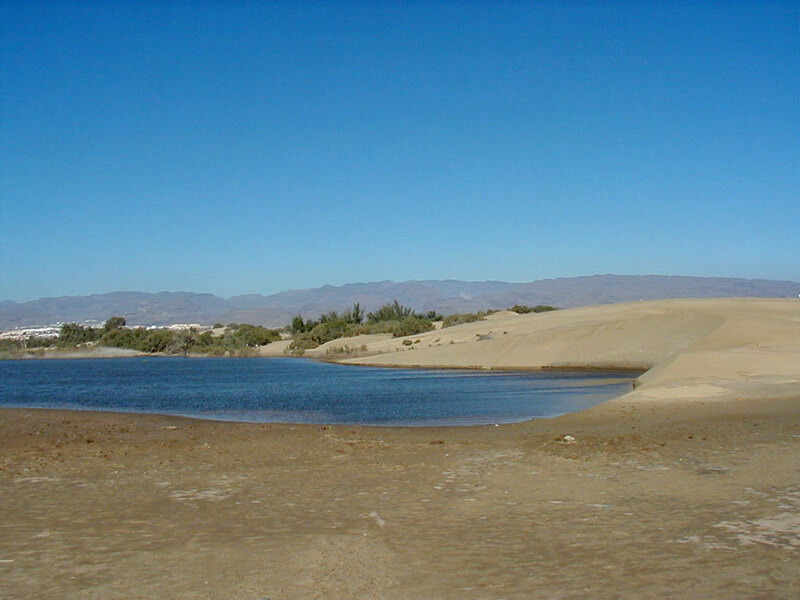 Palmeral (it palm grove), La Charca (The Pond) and Las Dunas (Dunes). 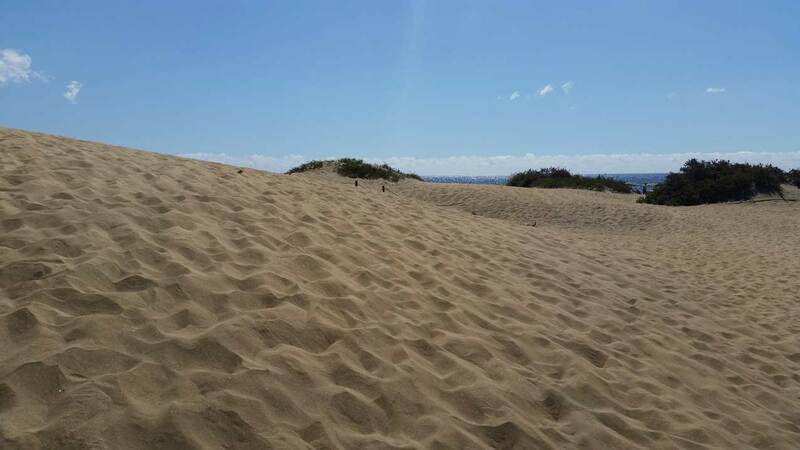 The dune area (Las Dunas Maspalomas) is a typical and yet special protected area found only on the island of Gran Canaria. 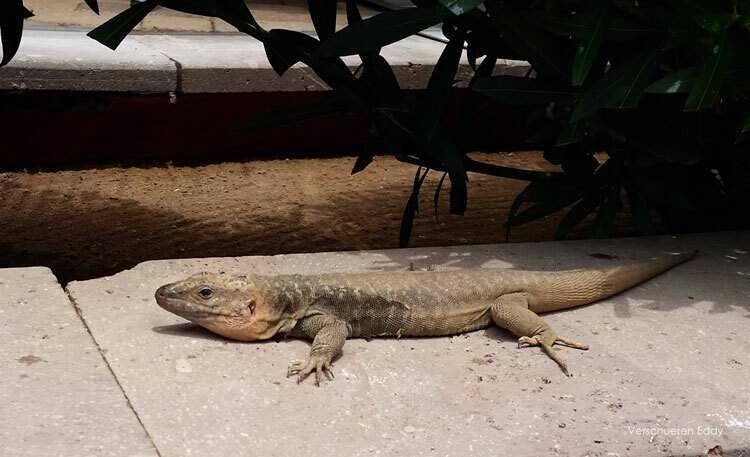 Also in abundance are insect species, including some endemic, related to African wildlife, only known in this area, including the giant lizard of Gran Canaria (Gallotia stehlini) that can be spotted in abundance. There are eight species endemic to the Canary Islands off the south coast of Morocco. If you encounter these animals for the first time during a hike it is quite a shock when she suddenly walk before your feet. They are very coarsely built, have a big head and a stocky body. This lizard can grow up to 80 cm. The animals can also spotted at the “Punta de Mujeres” on the Boulevard El Faro. The area has an important ecological value and is also a perfect nesting. You will then regularly encounter naked people on your walk through the dunes or along the beach. This is indeed for some of you might be getting used to, but do not forget that we are all born that way. These bar areas are also a meeting place for gay men and lesbians. Maspalomas is also known worldwide as the gay paradise. But do not worry, you do not have problems with these people. 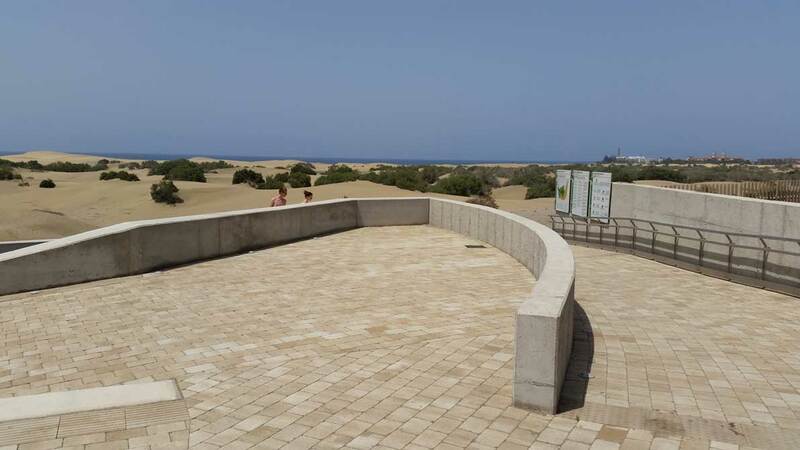 A beautiful view point or panorama on this Maspalomas dunes have created in 2015 “Mirador de las Dunas“. 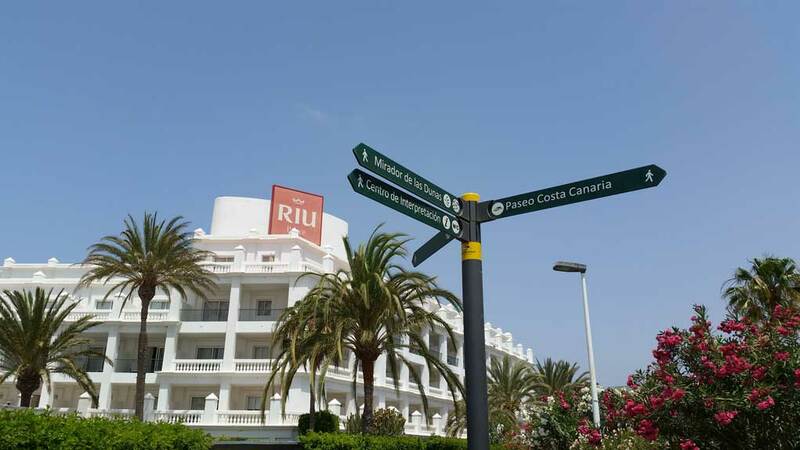 This viewpoint can be found at the hotel Riu Palace Maspalomas ( map ). This viewpoint is a large square that just as an arena in layers is built. You can be sitting or lying down in peace enjoying the dunes. 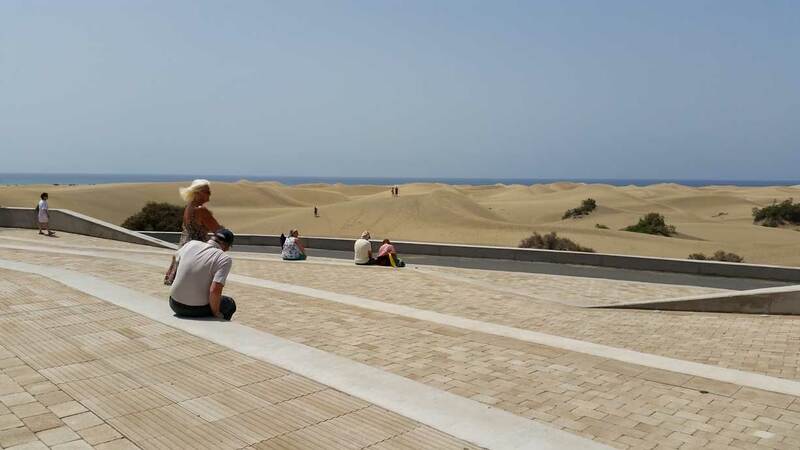 Other views of the dunes and the Maspalomas Oasis, you have it from Avenida de Estados Unidos and Avenida de Francia in the territory of Playa del Inglés.